That light wind foiling will be targeted since day one by Roland's Gaebler Speed Foiler (name was created before the super foiler series) , platform was designed by Martin Fischer and built is on its way. 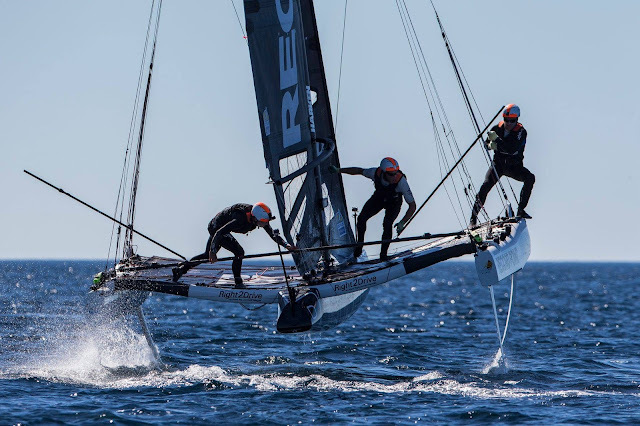 But what the Super Foiler has achieved by now is foiling upwind (of course with more wind than today) while racing on a solid and constant efficient way, something only the AC50s have accomplished in the mulithull racing arena. 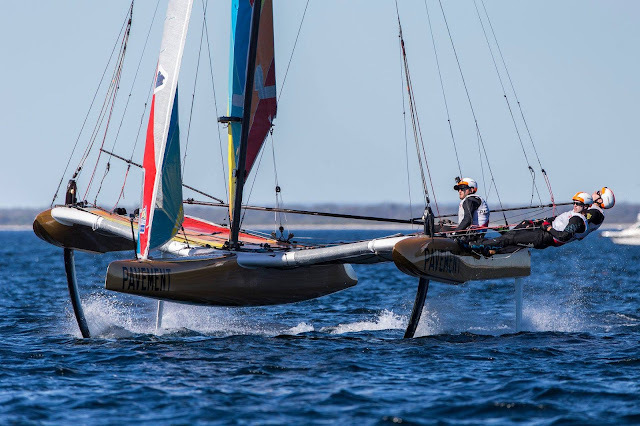 That fact alone plus the aimed tricky handling (capsizes and else) , the organizers and designers have fulfilled their goal. The sailors might want a more safe ride? Maybe, but they know what they will just looking those beast on the beachpark. 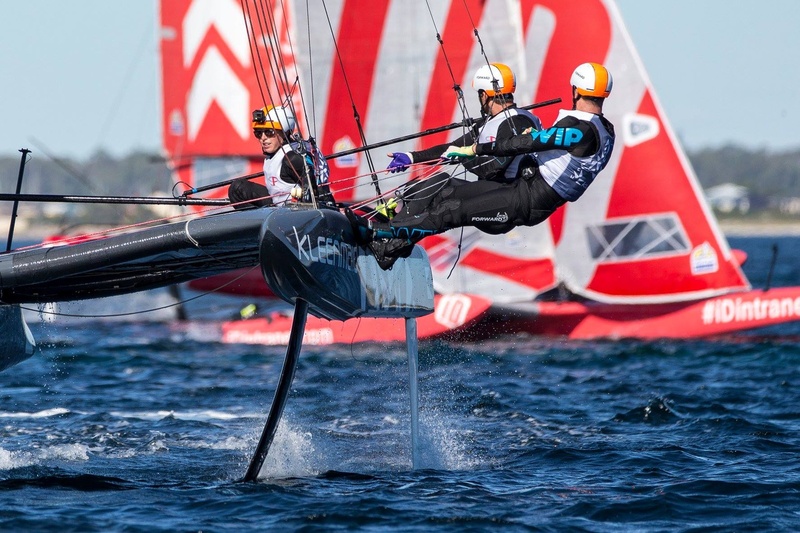 And performance wise as noted above, the Super Foiler is delivering. 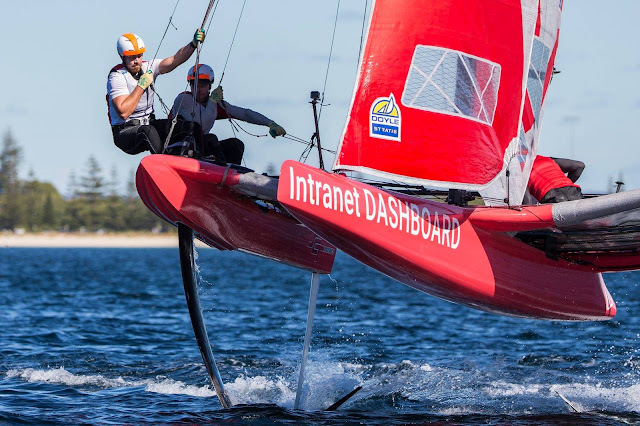 (Busselton) Two West Australian skippers have steered their teams to the podium in their home regatta with Perth’s Luke Parkinson (tech2) and Steve Thomas (Pavement) climbing onto the Busselton dais alongside Kleenmaid. 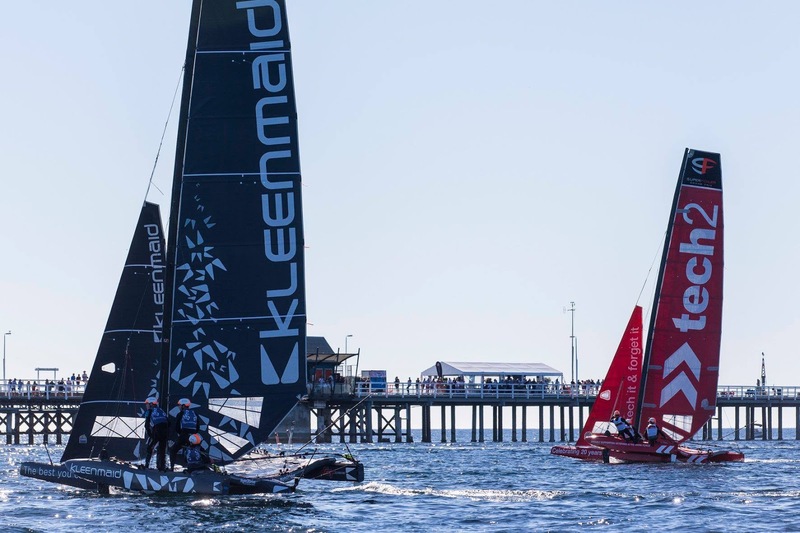 “It has been a pleasure to sail in such beautiful location, extremely tight racing it went all the way to the last run of the last race. 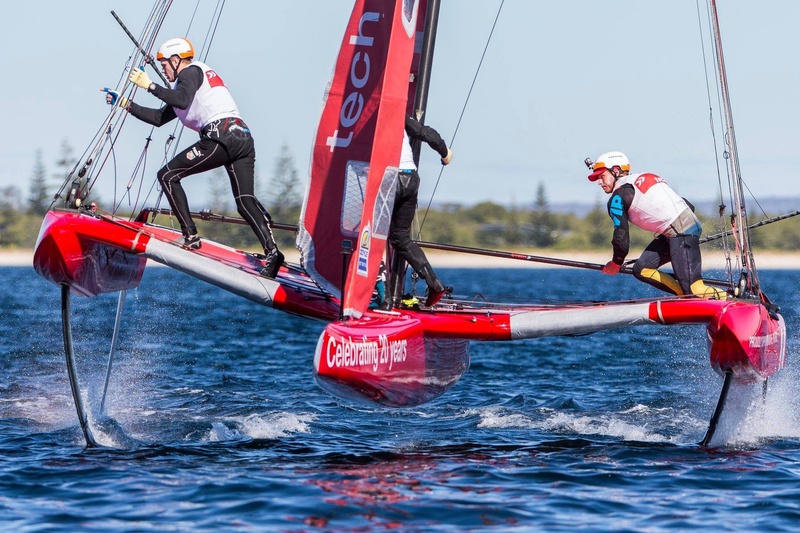 I am really excited for the Grand Final in Sydney,” said tech2’s mainsheet hand Ayden Menzies. “As a team we’ve been playing the long game, slowly developing our techniques with Sydney being the end goal so this was a really important regatta for us to peak at,” said Kleenmaid mainsheet hand Josh McKnight The wash-up is Euroflex’s stranglehold on the championship has slipped after her last placed finish, although her star crew of Nathan Outteridge, Iain Jensen and Glenn Ashby still hold a two-point lead over tech2.